Everybody knows pro-wrestling is scripted – but it is not fake. The moves in the ring are real and can lead to permanent injury to the wrestlers if not executed right. Triple H tore his quads, Austin broke his neck, Mick Foley had his ear torn off – but there was one thing common to all the above-mentioned instances of wrestlers getting hurt. They still completed their match despite battling through severe pain. 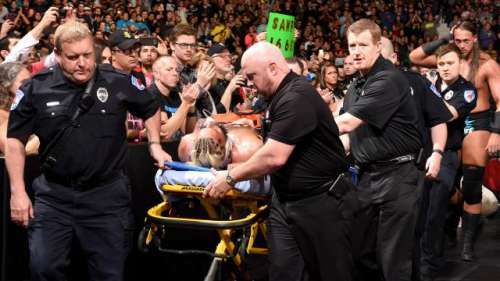 But sometimes the injuries might be too severe and it is in the best interest of the performers that the match is stopped – as witnessed in the case of Enzo Amore at the Payback PPV recently. This list takes a look at the five instances when a wrestling match was stopped due to a wrestler getting hurt in the ring. P.S: I have omitted the Owen Hart incident as it is too well known. 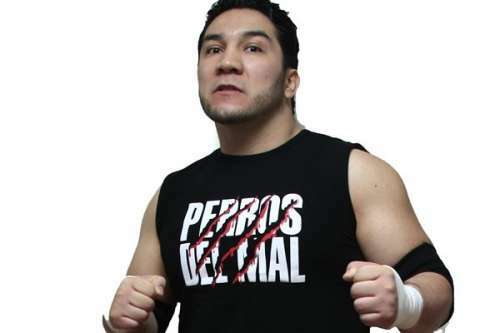 Perro Aguayo and his partner Manik was competing in a tag team match against Rey Mysterio and Extreme Tiger at a 2015 show in Tijuana when the unexpected happened. Perro took a bump to be set up for Mysterio’s 619 on the middle rope and Manik was soon placed in the same position by Mysterio. However, Aguayo never revived and all the medical treatment remained futile. The match was stopped and it was later learnt that Aguayo had suffered three fractured vertebrae during the course of the match. The roster on the first RAW after the 2016 brand split: Where are they now?